What are the state requirements for driver ed? 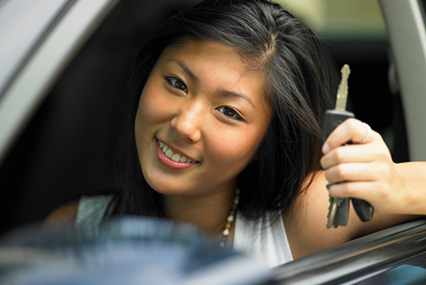 View teen and adult requirements for drivers education in Louisianna. Is a parent's attendance to parent orientation mandatory? Yes. There are some situations where private orientations may be an option. What is a Temporary Instructional Permit (TIP) and how do I get one? All students enrolled in driver education must present a TIP to our driving school. You can obtain your TIP and the OMV. You must be 14 years and 9 months old to obtain a TIP. The cost of the TIP will be the cost of a regular license; however, no additional fee will be assessed when the student completes driver's education and returns to the office to obtain a learner's permit. Upon successful completion of driver's education, the TIP must be surrendered to OMV along with proof of successful completion of the appropriate driver's education course and any other necessary documents. What if I need to reschedule a drive time? A 24-hour cancellation notice is required for all behind-the-wheel driving lessons or a $50 cancellation fee will be applied to your account. Can I choose the instructor for my driving lessons? You can choose your driving instructor, but our driving school reserves the right to change instructors to better fit the student or our behind-the-wheel schedule. What happens if I open the envelope prior to taking it to the DMV? You will have to retake the test. What happens if I fail the road skills test? You will need to purchase additional driving lessons. You have four chances to pass your test. If you fail, we do have other methods to help you study and an option for having the test read to you. What are the DMV charges for Temporary Instructional Permit (TIP), Learner's Permit, and Driver License? View DMV pricing in Louisianna. There are no refunds for road skills test cancellations or no-show. A 24-hour notice is required if you would like to reschedule. A 24-hour (before the start of class) cancellation notice is required for all classroom courses to receive a refund. Can I sign up for class on the day of the class? You can register for a class up until 24 hours before the class begins. What happens if I miss a day of class? No problem. You are allowed to make up a missed class.